It’s Simple! Enter your email address and we’ll send you the FREE Look Book today! Almost 85% of installations are completed by the homeowner or a local contractor. Many people wonder how difficult it is to assemble. If you have ever put together a small kit shed – it’s similar to that. You should know how to read a tape measure, use a level and operate a drill. 1. Ensure that your greenhouse foundation is level and square and built to our specific dimensions – an 8×12 greenhouse is actually larger. This is the most important piece of advice we can give you – if the foundation is off, everything will be off. 2. Ask for help. Enlist your family, friends or neighbors to put it together. 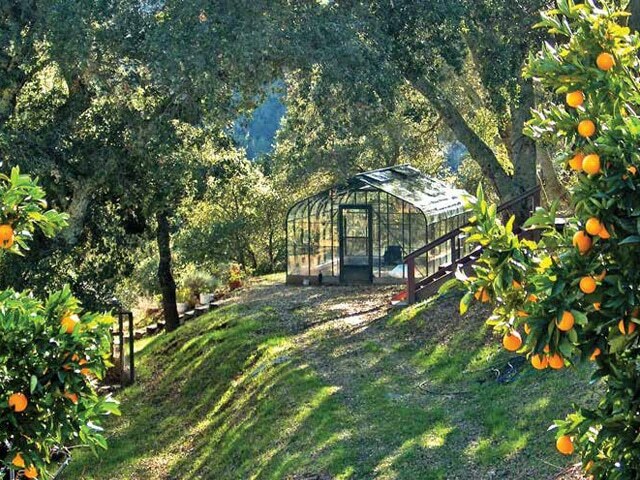 An 8×12 greenhouse will take two people two days to assemble. Give yourself the gift of time and try not to rush. 3. Review the written instructions, packing list and DVD ahead of time. It is filled with great tips and best practices that will help streamline your day. 4. If you feel you have to cut something, call us first at 1-888-391-4433. Your greenhouse has arrived! What’s next? Your wood crates and their corresponding numbers are indicated in your packing list that will be emailed to you ahead of delivery. Look for the wooden crate that says “Packing List Inside”. Important: The greenhouse is organized into bundles of materials that will be labelled with a sticker. These bundles should not be taken apart until you are ready for the component. Lay out all of the bundles, parts and pieces until everything is visible. Polycarbonate panels have a protective blue film on the exterior and clear or white on the interior. Keep track by placing a mark on the exterior as it has the UV protectant. Until it is time to install do not put your polycarbonate in the sun because the blue film will heat up and it will be difficult to remove. 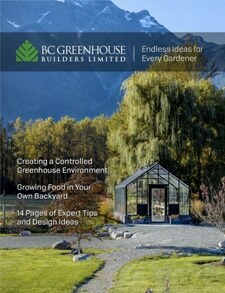 Why Choose a Quality Greenhouses? Single bay or double wide side vents allow for added passive ventilation. Available with your choice of vent opener and optional insect screen. Get our latest Catalog sent directly to your door. What a huge fan I am of your product and your after-purchase support. I have loved owning my own B.C. Greenhouse for over 30 years now, and have loved it so much, I have taken it apart and brought with me when I have moved to four other houses!! I am an absolute fan of B.C. Greenhouses!